Find the jolliest and merriest of celebrations in these spots. There's no "right" or "wrong" way to celebrate the holiday season. Whether you're religious or not, snuggled up in a snowy climate or lounging on the beach, or cooking a homemade feast or eating at a five-star restaurant with friends, enjoying the sights and sounds of the season in whatever way brings you joy is what's important. Spreading joy is definitely the priority for these 50 cities in the United States that go all out when it comes to holiday spirit, events and activities. Some have historical ties to seasonal celebrations, some have Christmas-inspired city names and others just have residents that get carried away with spreading cheer. From wintery small towns to bustling big cities, these places go over-the-top with giant trees, red and green decorations, magical light displays, costumed characters, hopping holiday markets, tasty treats and more. 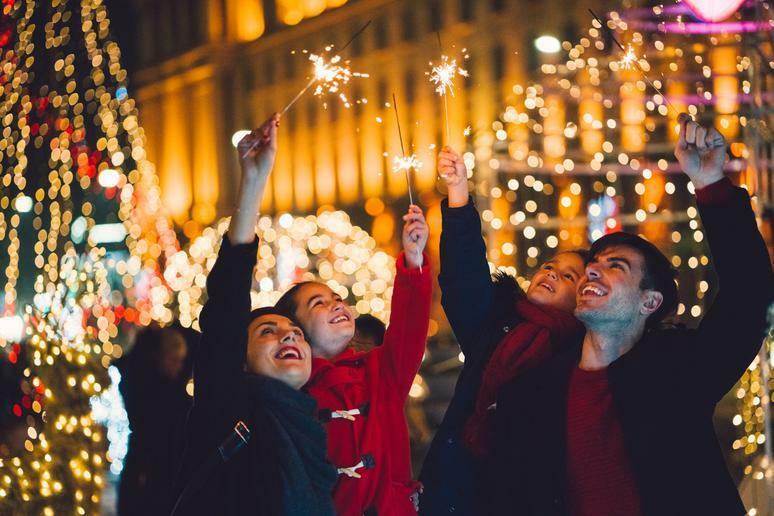 If you're looking for a weekend getaway spot or a winter vacation destination to really get you in the holiday spirit and help you celebrate the season, check out these cities across the country.